Marvin (Marv) Sommerfeld, 79, passed away in Texas on January 31, 2019 Marv was the fourth son born to Leo and Rose Sommerfeld of Coomer, Wisconsin. He married JoAnn (Hillman) in May of 1962 in Lewis, Wisconsin, where they lived until moving to Madison, Wisconsin. 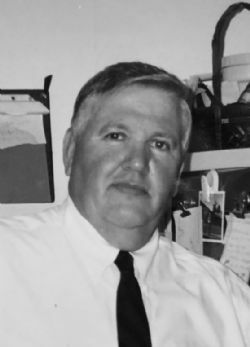 Marv’s dream of being a police officer was realized as he proudly served as an officer on the Madison Police Department for nearly two decades before retiring in 1982 from an injury suffered at the end of a distinguished career. Marv and JoAnn moved to Northern Wisconsin in 1983, where they owned and operated a small resort on Mid Lake, Grande Vista, for 25 years. In 2008 they moved to Tomahawk, WI, and ultimately retired in 2013 to Livingston, TX. Marv excelled in growing tomatoes, outsmarting squirrels, memorizing history books, and telling legendary stories around the nightly campfires he hosted. As a former President of the Arbor Vitae-Woodruff Lions Club, and a former Town Chairman of Woodruff, WI, he was thoroughly interested in politics along with religion and would talk to anyone about either, at any opportunity. He valued his relationships with others more than anything, caring deeply for friends and family alike, and openly shared his belief in God’s love and grace. Marv served as an elder at the Livingston Seventh-Day Adventist Church. He was a beloved long time Boy Scout troop leader, an enthusiast of all things outdoors, and a true kid at heart. He threw nothing away, as evidenced by his extensive collection of tools his kids might need someday, enough fishing equipment for a startup tackle shop, and countless broken objects he was always meaning to fix and give to someone who needed them. He took extreme pride in his wife, his kids, and especially his grandkids, whom he pumped full of ice cream, cheese puffs, corny jokes and heaps of love every chance he got. He seemingly knew ½ of the population anywhere he went, never met a sausage he didn’t like, adored his nieces and nephews, and will forever be treasured for his legacy of humor, kindness and character. Marv is survived by his wife of 56 years, JoAnn; his children Rhonda, Patrick (and wife Carie), Colleen (and husband Belisario); and his brothers Harold, Alfred and Ted. He is also survived by his beloved grandchildren Kevin, Nick, Dylan, Ali, Erica, Alina, Ella, Hailey, Reagan and Lili, as well as his great grandchildren Alexis, Austin, Henry and Oliver. The family wishes to extend our sincere thanks and love to all the people that Marv met, who became family, during his many years in Wisconsin and Texas. A memorial service for family and friends is being planned for the summer of 2019 to celebrate his exceptional life.